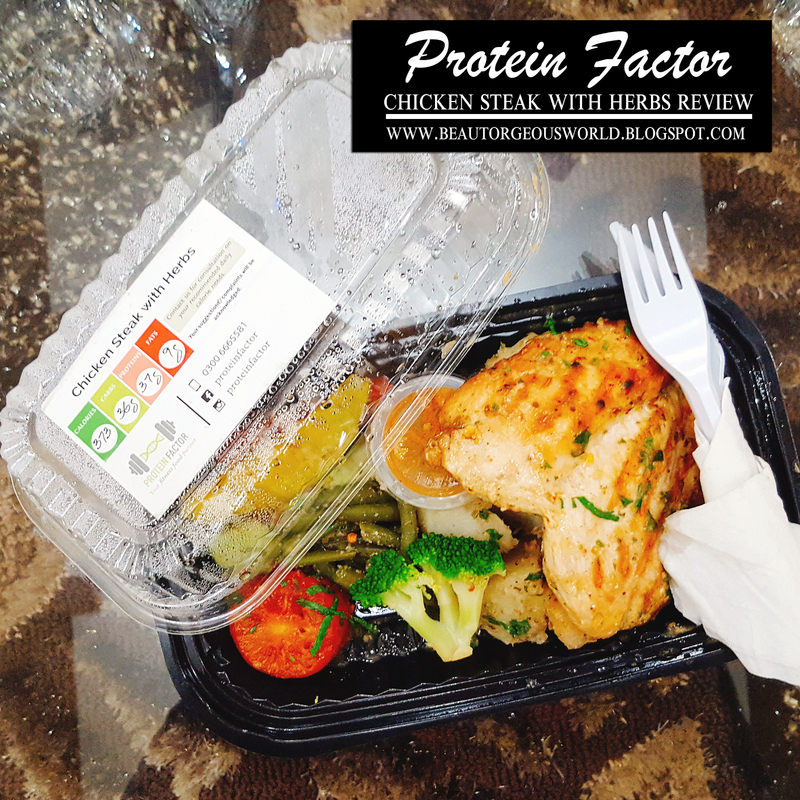 Hello lovelies, today i am here to review chicken steak with herbs by Protein Factor. 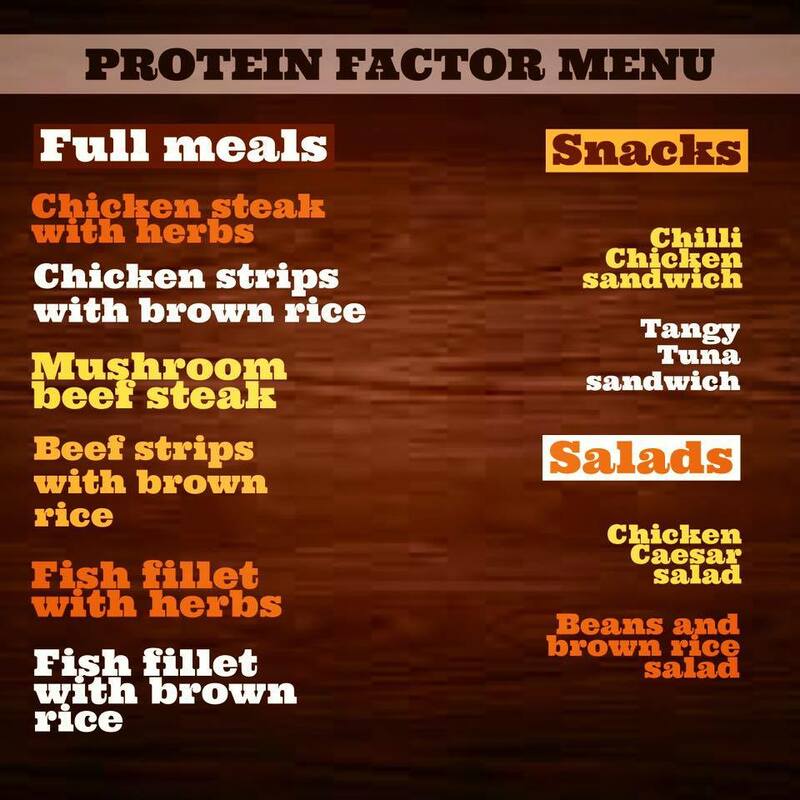 Protein Factor is your fitness food partner , they deliver low calorie and high protein meals at your door step. 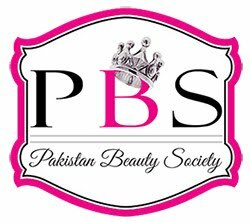 If you are living in Islamabad/Rawalpindi and want to eat healthy, you should definitely try their food. 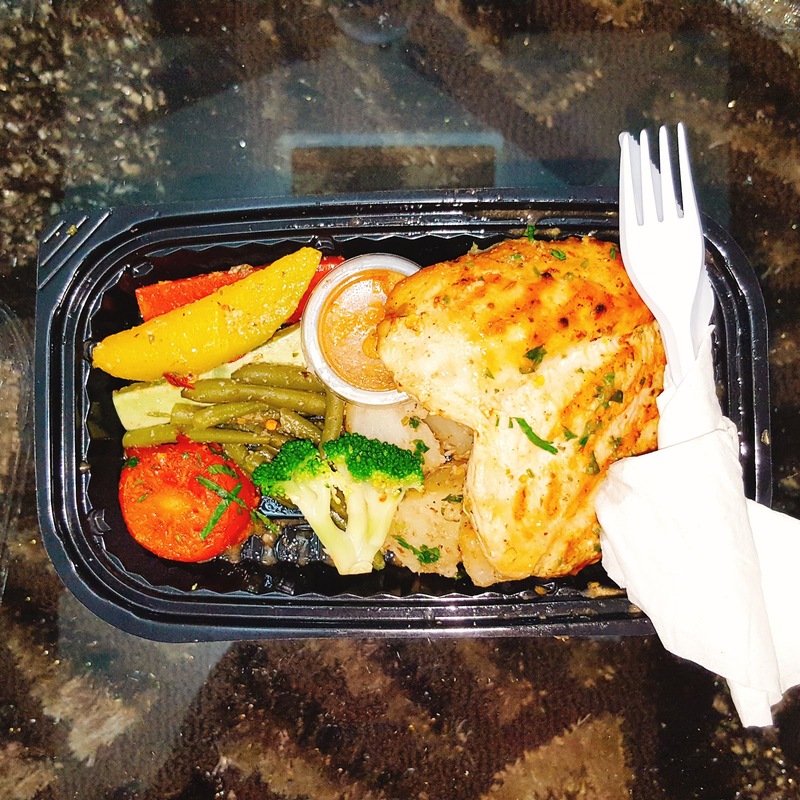 I really liked the way the food was packaged, container of the food was of good quality and spacious enough to fit in veggies, chicken steak and sauce. 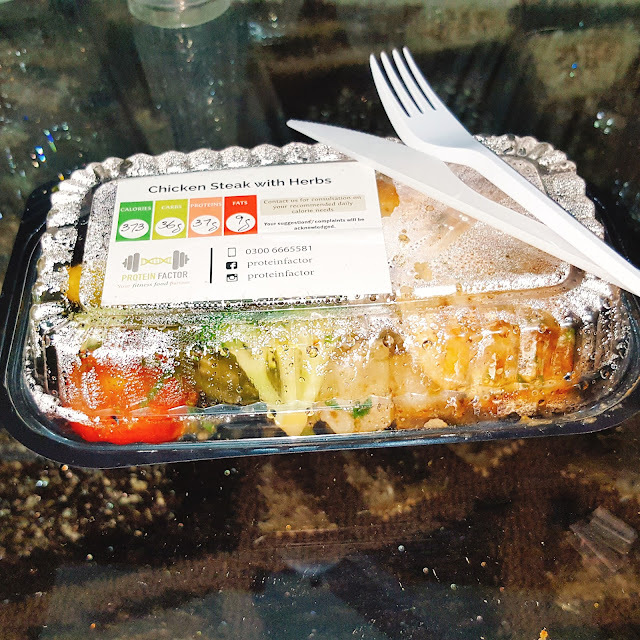 With the food also came disposable knife and fork. 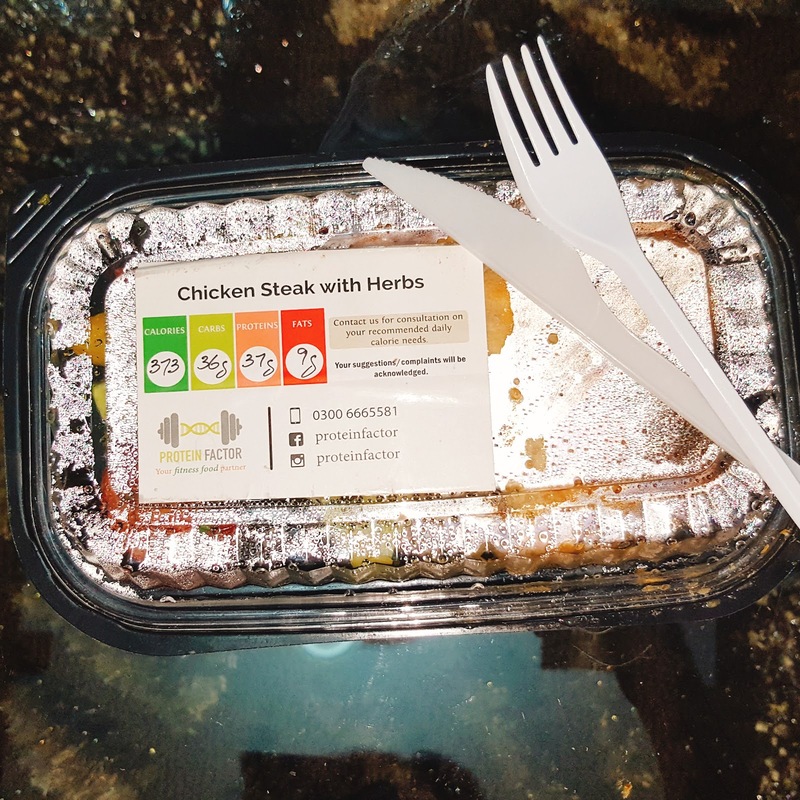 I was very pleased when i opened the container as the chicken steak was still hot.One thing great about the packaging is the calorie count label on the top of it. I am a person who enjoys food so i eat out a lot. I have had chicken steak before and that too really good ones. 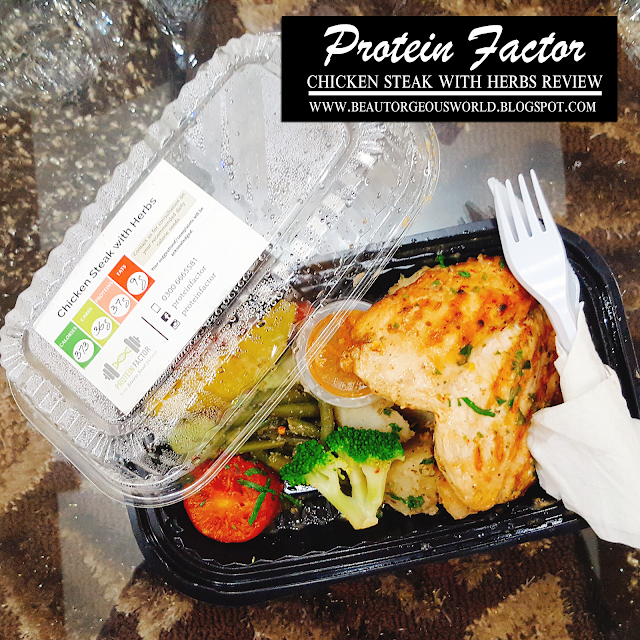 I was absolutely surprised that this chicken steak from Protein Factor tasted delicious even with minimum spices. 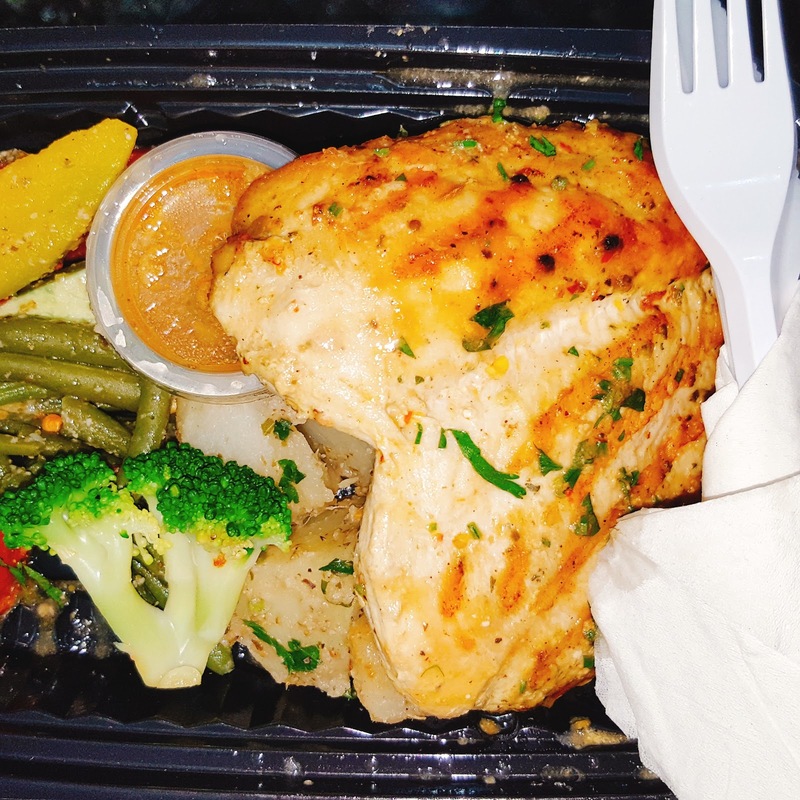 It was soft, well cooked and was sufficient for one person. The veggies which came alongside steak were well sauteed as well. One disappointment about this meal was the sauce, i really didn't like the taste of the sauce which came with it. 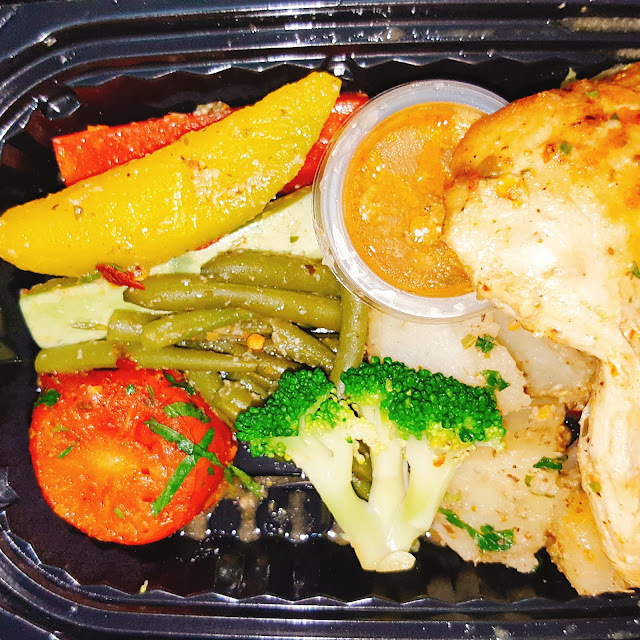 Other than the sauce, i think for this price and food quality this was an incredible experience.